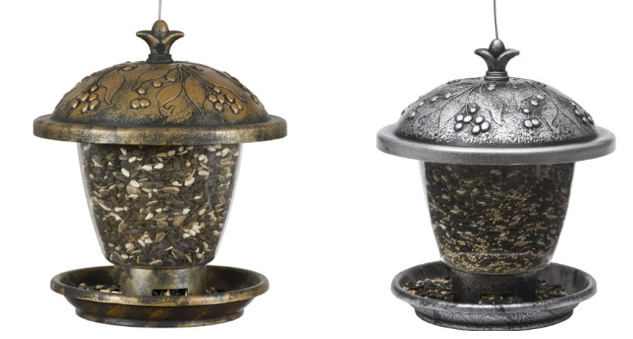 Holly Berry Gilded Chalet Wild Bird Feeders As Low As $7.99 + FREE Prime Shipping (Reg. $14.95)! You are here: Home / Great Deals / Amazon Deals / Holly Berry Gilded Chalet Wild Bird Feeders As Low As $7.99 + FREE Prime Shipping (Reg. $14.95)! Looking for some decorative bird feeders that won’t put a dent in your wallet? Check out these pretty bronze and silver Holly Berry Gilded Chalet Wild Bird Feeders for As Low As $7.99 (Reg. $14.95) right now!